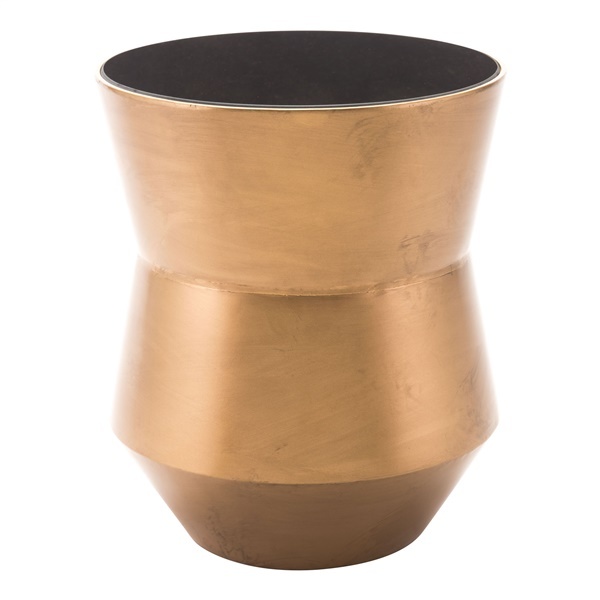 Add stylish drama to your space with the Tambor End Table with Glass Top by Zuo. Its drum-shaped and tribal-inspired gold steel frame is beautifully accented by a sleek black glass top. Place it next to your modern sofa or lounge chair to add a chic hint of modern rustic charm.